Airtel is notorious for allowing incessant promotional messages from third parties. In some cases, you may be charged for these services without even knowing it. Recently, I was charged N80 and N50 for SOCCER15 service and MAGICVOICEWEEKLY service respectively on my Airtel line without subscribing to these services. Most Airtel customers have been frustrated to abandon their Airtel line because of these unnecessary messages and charges and some who are still interested in Airtel probably do not know how to stop these messages. One way to stop promotional messages on your Airtel line is by opting out of each of the services. 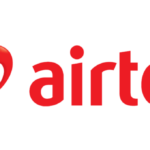 Usually, Airtel house several promotional services from third parties such as FITNESS, AL_FAIR, INSPIRATION, FOOTBALL and so forth but you can opt out of any of them. To opt out, you should simply dial *902#, select STOP and choose the service you intend to stop. However, this method has a catch. Airtel can automatically subscribe you to any new promotional message even without your consent. In other words, you have to check periodically to ensure that you opt out of promotional services on your Airtel line. This is a better way to opt out of promotional messages, bulk SMS, VAS promos and so forth from third parties. However, this method does not opt you out of messages from Airtel. Fully Blocked Mode: This allows you to opt out of all promotional messages from third parties. Partial Block Mode: Perhaps you like some promotional messages but would want to disconnect from others. This mode allows you to choose the messages you want to receive and block others. 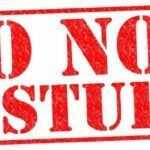 Do Not Disturb is free for Airtel customers. To activate full Do Not Disturb, text STOP to 2442 and to stop (deactivate), text ALLOW to 2442. You can check your Do Not Disturb status by texting STATUS to 2442. Do Not Disturb is categorized into 11 categories. You simply text the number designated for each category to allow it and block others. You can find these categories and further information by texting HELP to 2442. 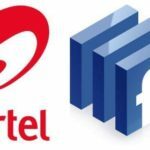 By using either of these two methods, you can reduce the amount of SPAM or promotional messages you get on your Airtel line and focus on what matters most.